To really make a website stand out from the competition, it’s important to ensure that it is properly optimised for search engines. This is also important for websites interested in attracting a localised audience. Local search engine optimisation involves using geo-targeted keywords for greater precision. Adding a location to a long-tail keyword not only can help local customers find the services they’re looking for, but it can also be beneficial to the website owner who needs a less competitive keyword to stand out in the search engine rankings. 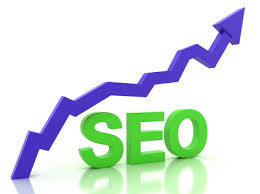 With that in mind, you can use the following tips to boost your local rankings and increase visibility online. A good way to organically drive traffic to your site is by signing up in local business directories. Make sure your website is listed on Google Places, Yahoo Local, Foursquare, and any smaller relevant directories in your region. For example, a Los Angeles web designer would want to sign up for the big directories as well as a local site like the LA Times. This is a technique you won’t want to use too often, but if you’re just getting started you can post a positive starter review on business review websites under your listing. Including a link to your website in the review can help drive more traffic to your site. However, beware of posting reviews that are overly positive as these will ring false. Try asking customers about their experiences or asking a loyal existing customer to post on your behalf for a genuine third-party outlook. Don’t add too many of these in a short period of time, or this will not only ring false to customers but it could also get you flagged by the search engines. In addition to your main website and business directories, social networks are a great way to increase your visibility on a local level. Create business pages across all of these channels, including Pinterest, Instagram, Tumblr, Flickr, LinkedIn, Facebook, and Twitter. Be sure to fill in your business contact details or link back to your website to allow local consumers to reach you. One of the easiest ways to consistently provide new, fresh content is by keeping a blog. The content on your website can include not only articles or product updates, but also directions to the shop, supporting images, and videos. These could attract the attention of local customers who will be keen to visit your shop in person or make a recommendation to their own networks. This is also a good way to boost your ranking in the search engines, by incorporating location-themed keywords into your content. If you have a business specialising in website design in San Francisco, you could write a post entitled “Best Website Design Practices in San Francisco” or “The Latest Trends in San Francisco Web Design,” working those relevant keywords into the post. Make sure the content is fresh, relevant, and interesting to back it up, however. By using multiple channels to boost visibility on a local level, you can create a stronger presence that will also boost your search engine rankings. Social media, blogging, keyword-rich content, and local directories are all ways to enhance your website’s local profile. Next story How Much Money Do We Spend On Our Holidays?